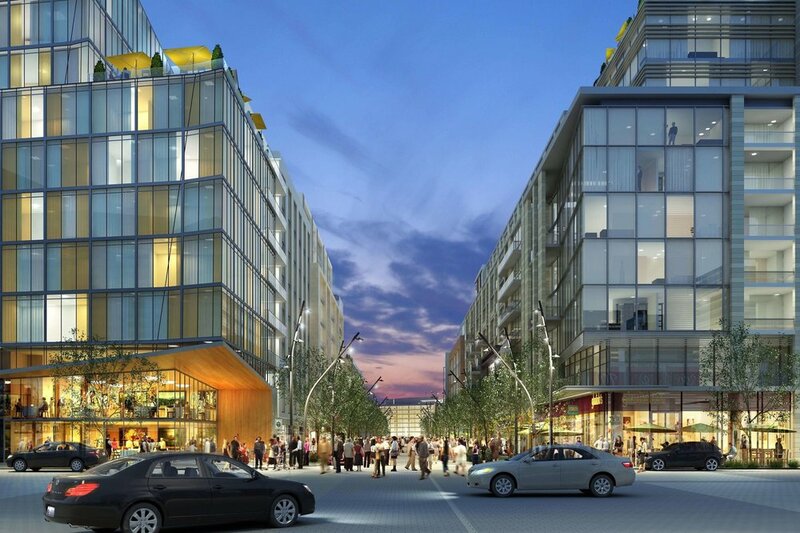 Located in DC’s rapidly-developing Navy Yard district, this block-long section of Half Street SE is the primary connection between the re-designed Navy Yard Metro Station and the main entrance to National’s Park, the city’s Major League Baseball venue. 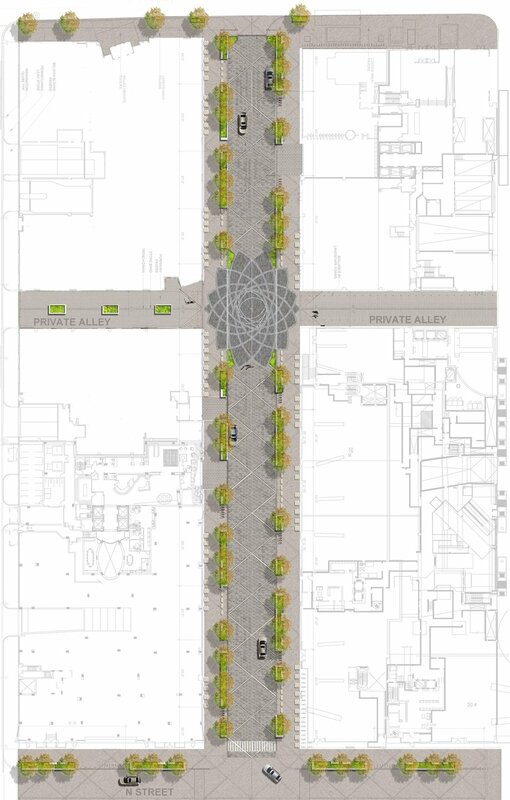 The project scope includes retail streetscapes on both sides of the street, a large paved plaza, and the street itself: a shared pedestrian and vehicular space articulated by a series of distinctive paving patterns. With substantial mixed-use and retail development on each side of the street and many thousands of pedestrians on game days, the entire street was designed without curbs to allow for its use as an exclusively pedestrian zone 100-125 days throughout the year. 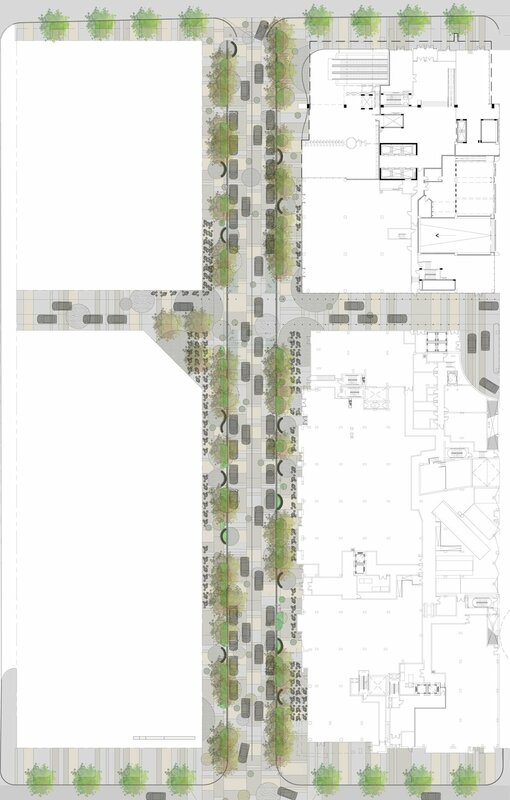 Both vehicular and pedestrian zones are paved in a polychrome stone palette with a zone for furnishings, lighting and planting that separates pedestrians from vehicular traffic. The design intentionally limits the use of bollards in order to reduce obstructions and provide a more open, accessible character. Stormwater from both the street and sidewalk is directed to the planting areas, reducing the impact on the city’s overwhelmed sewer system. Street trees are provided with additional soil volume by way of underground soil vaults, helping to increase the urban canopy and create a valuable landscape for the community. LAB developed this project through Design Development, however it was put on hold because of macro-scale economic issues.